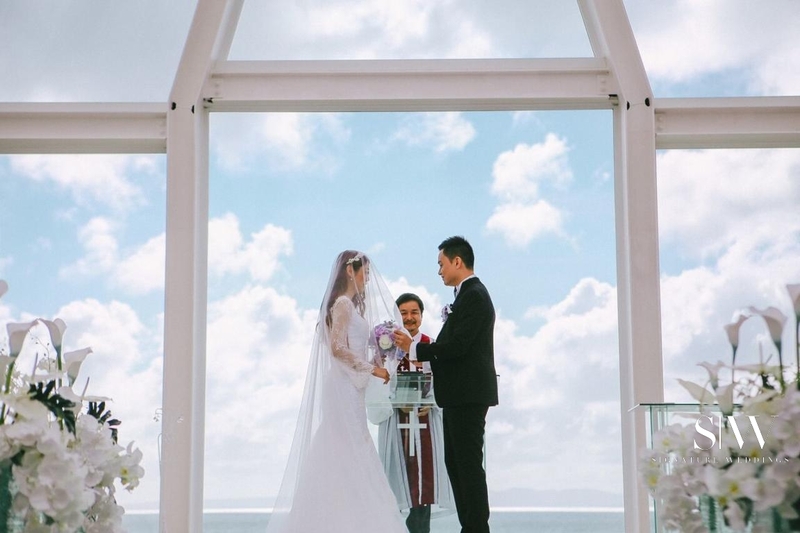 Here’s a real wedding that has some breath-taking views. 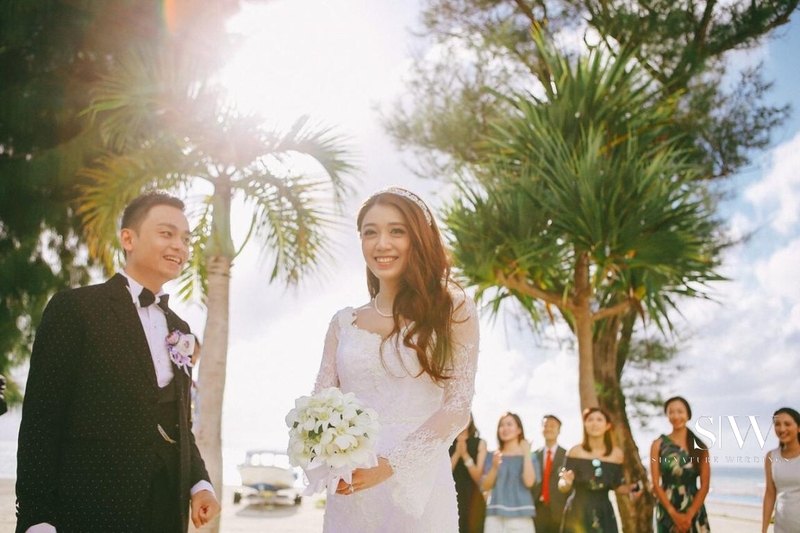 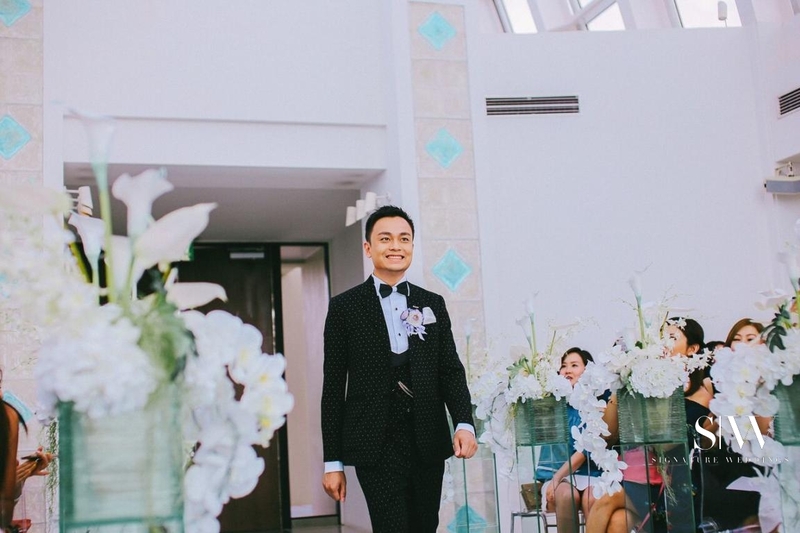 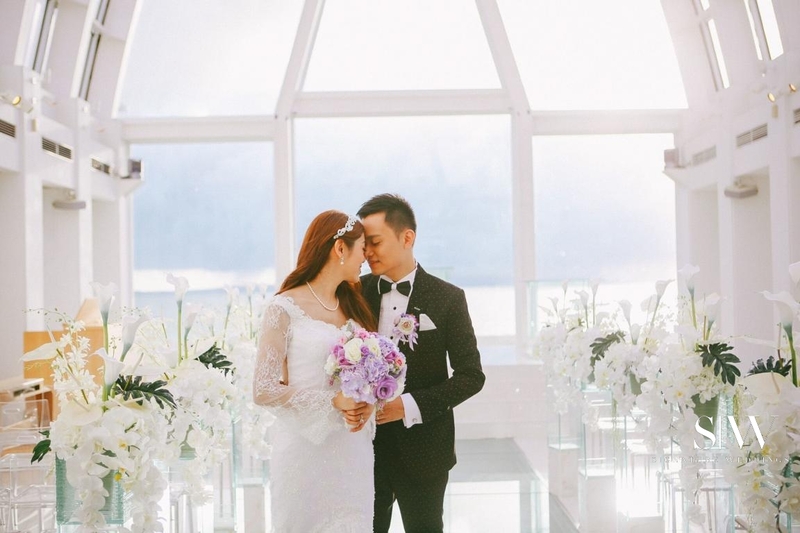 Instead of just planning a routine wedding, this couple—orignally from Hong Kong—took their wedding planning to a more intimate location. 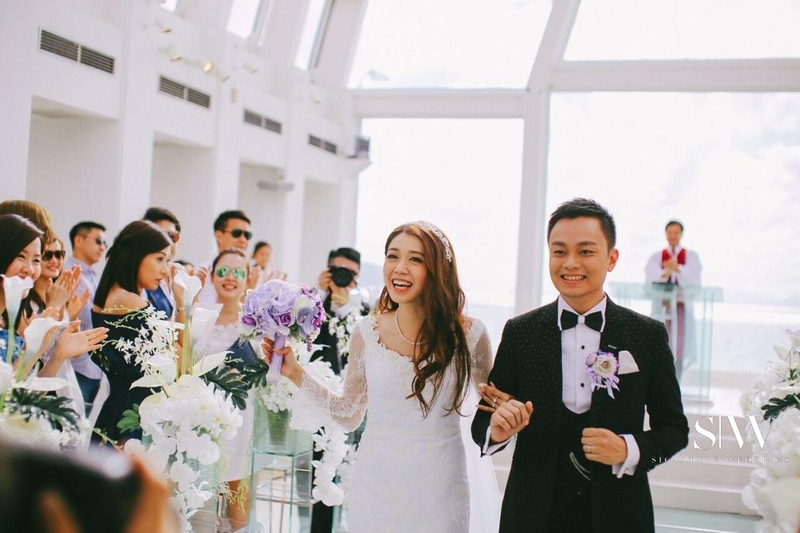 The couple, who met at a friend’s birthday party, had been together for many years when they finally decided to get married in conjunction with their 9 year anniversary—the number 9 in Chinese is used to mean ‘long and forever’. 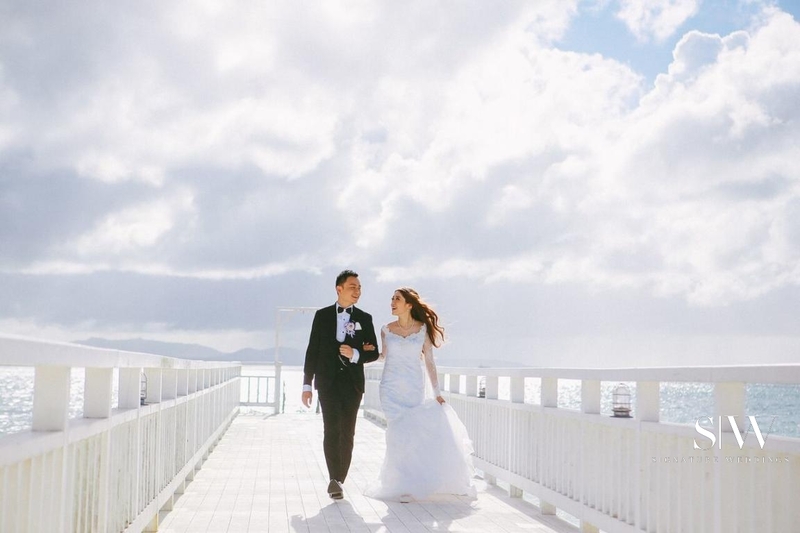 They wanted a wedding that was delightful and unforgettable, and also for their friends and family to be with them. 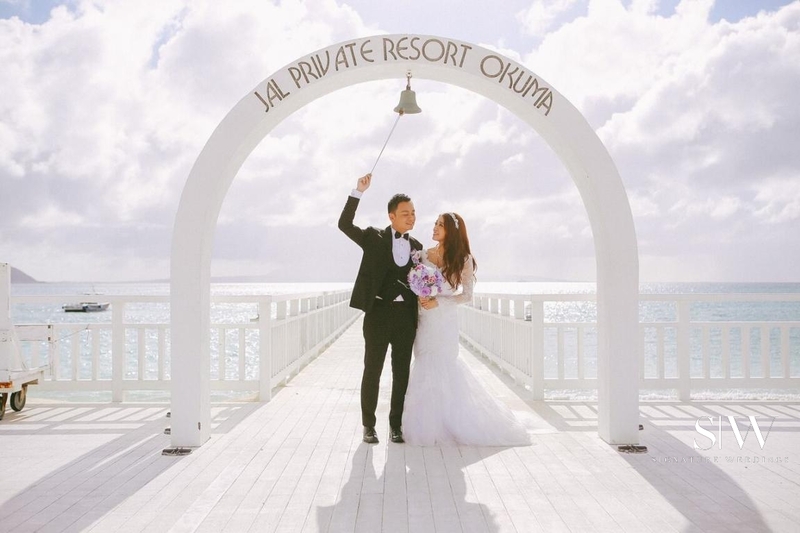 After travelling to Okinawa a year before their wedding, the couple decided that they could make their wedding experience a memorable one by planning a whole trip for their family and friends. 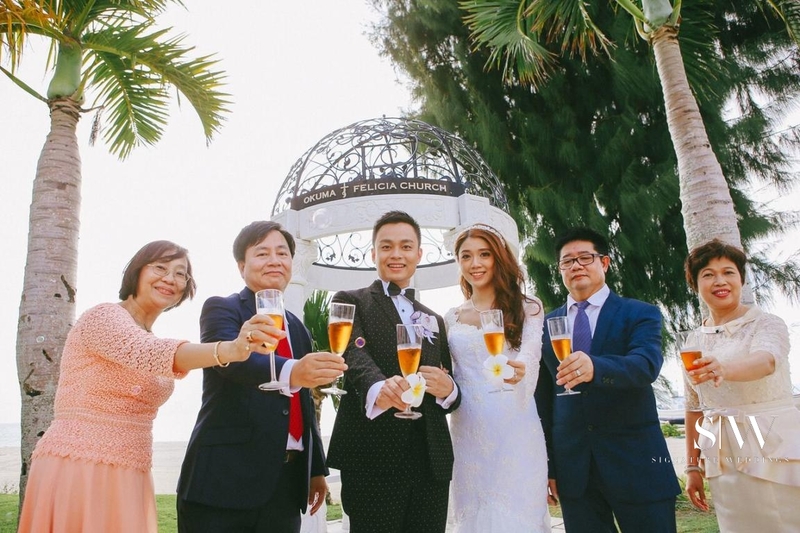 An added point was that the venue was not too far from their hometown in Hong Kong to make it work. 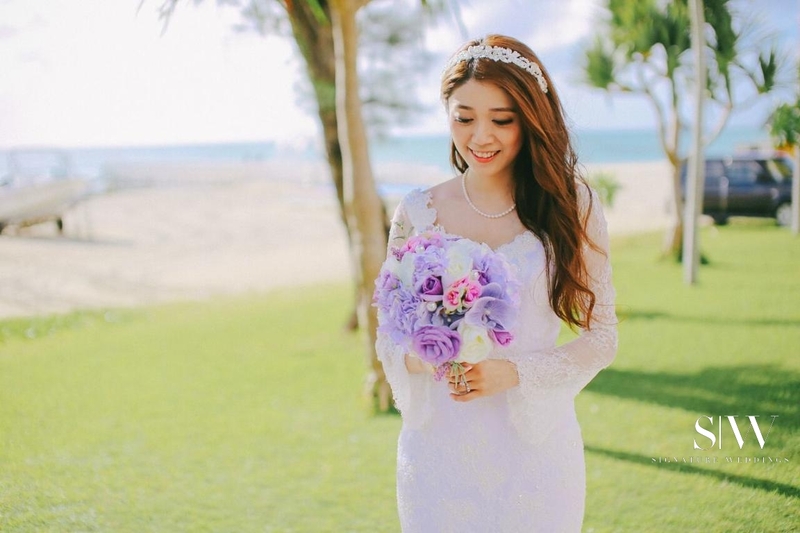 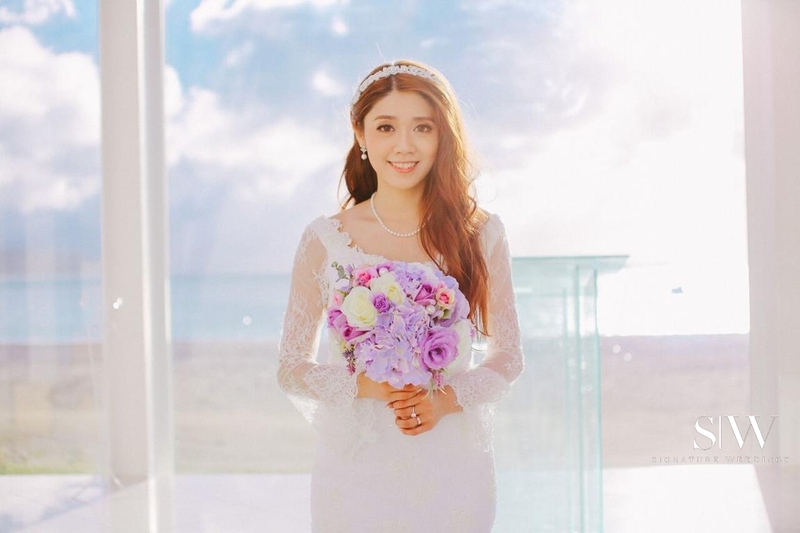 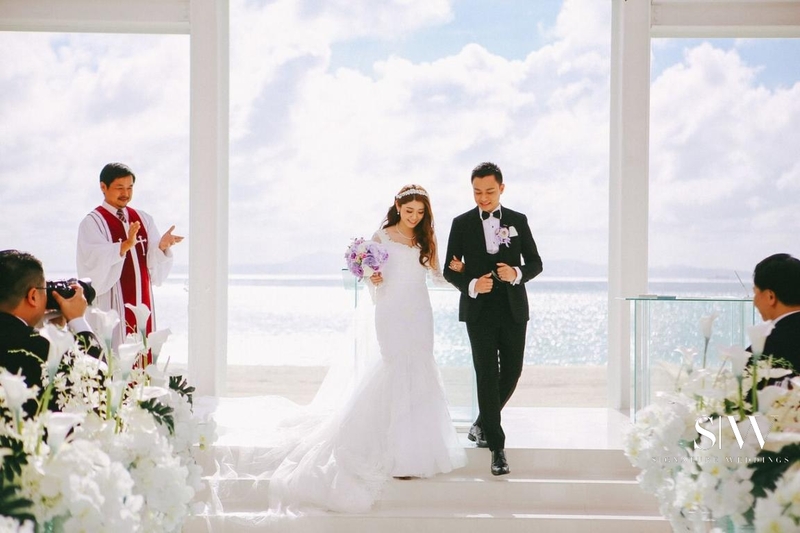 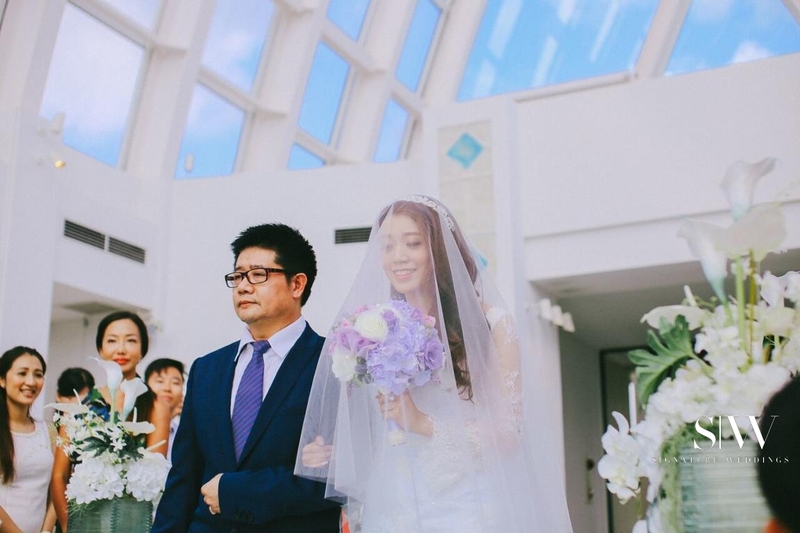 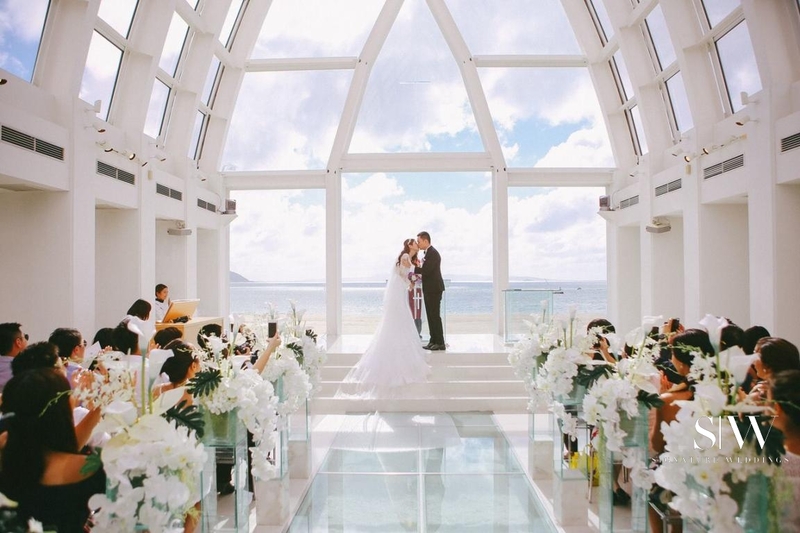 The Okuma Felicia Church—located on the JAL Private Resort Okuma premises—was the main attraction of the wedding. 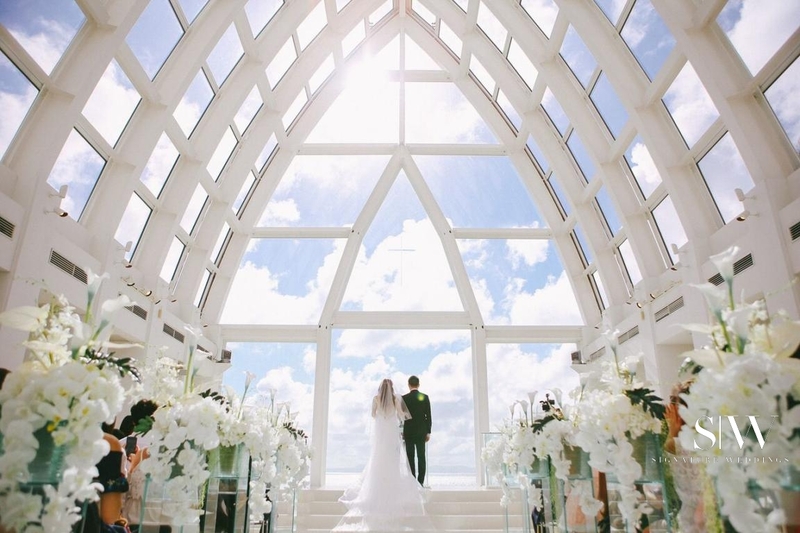 Featuring a glass roof and glass walls, this resort chapel gives a perfect view of the white, sandy beach and perfect blue skies—which was what contributed to this spectacular wedding vibe. 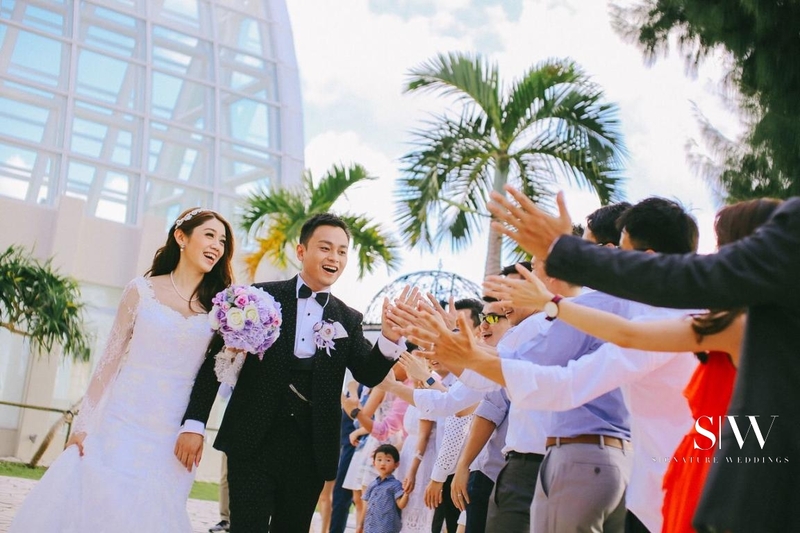 Their wedding experience is definitely something that we all can enjoy. 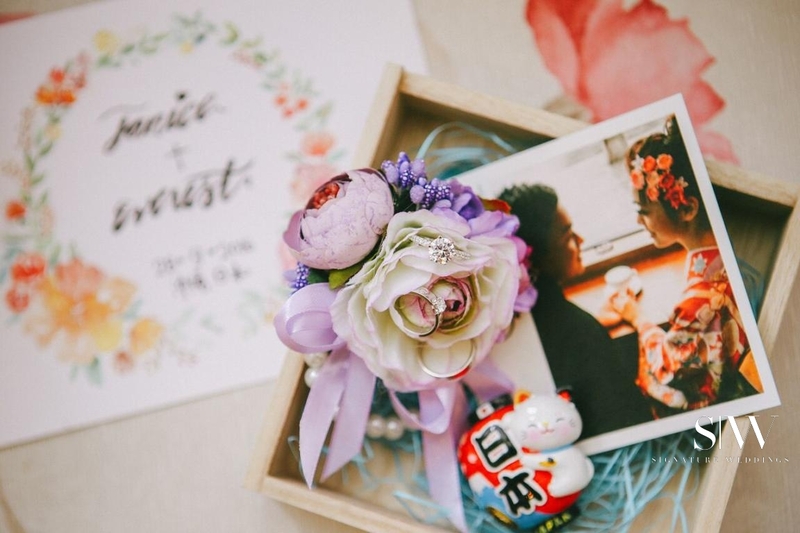 More inspiring wedding stories here.